Above a set of tracings of a (fully clothed) man on a horse from his book Descriptive Zoopraxography. Or the Science of Animal Locomotion. Published by University of Pennsylvania 1893. 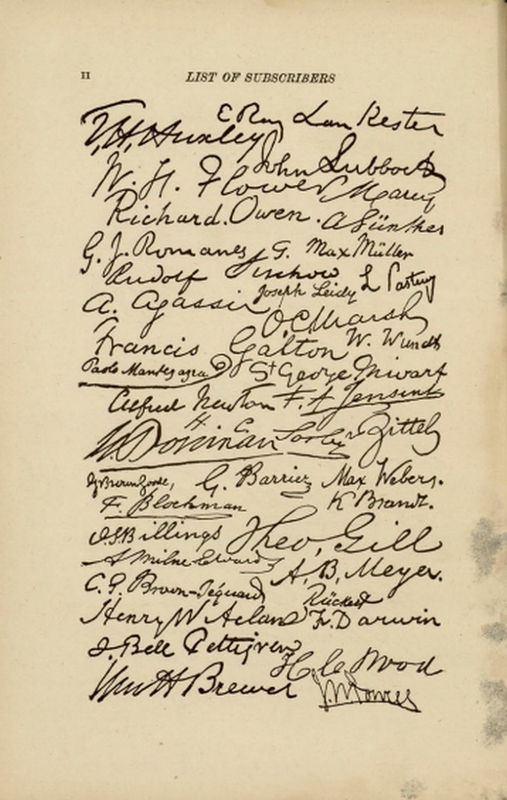 The subscribers to Animal Locomotion have all of their signatures shown in this book. The following page shows some of them [I see a few well known names here; T.H. Huxley, Richard Owen, A Agassiz, Francis Galton. ].